BOOMco. Dual Defenders Blasters Just $7.50 Down From $20! You are here: Home / Great Deals / Amazon Deals / BOOMco. 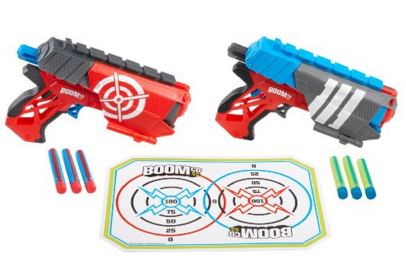 Dual Defenders Blasters Just $7.50 Down From $20! Check out this great deal on Amazon! Boomco. Dual Defenders Blasters are just $7.50 down from $20! Get yours now while it lasts! Two single-firing blasters in two designs for twice the action!